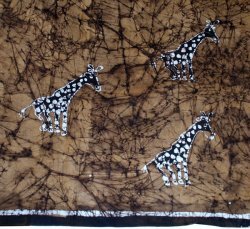 This hand-dyed bolt of fabric features eleven batiked giraffes spread out over the length of the textile. 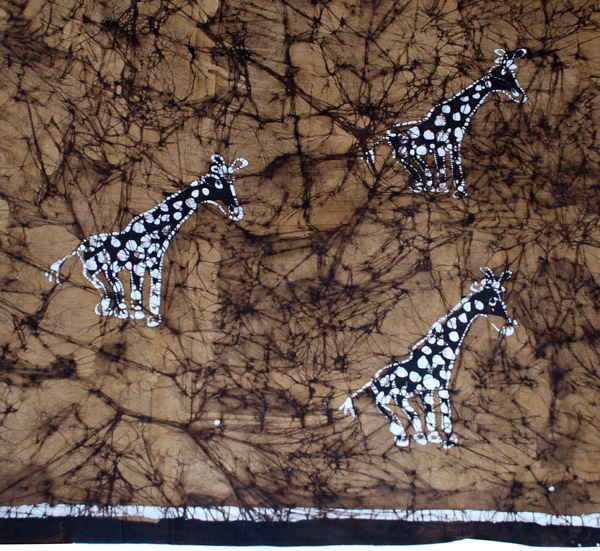 The background displays saturated tones of brown in a cracked design that is unique to the batik process of textile dyeing. Dyes are set with chemicals to make the fabric color-fast and machine washable. 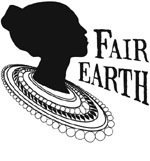 Use as a wall hanging or tablecloth, or get creative and sew it up into curtains, pillow-cases, or clothes.